Rainbow’s End is a theme park in Auckland, New Zealand. The rides include Stratosfear, Power Surge, FearFall, Corkscrew Coaster, Enchanted Forest Log Fume, Pirate Ship and a lot more. For kids under the age of 8, Rainbow’s End has a Kidz Kingdom. It has rides such as Choco Express, Jumpin’ Star, Surf n Swing, a Fortress of Fun and also Carousal. With over 20 rides and attractions, there's something for everyone, every day of the year. Pregnant women are not allowed on any of the rides. Items such as, but not limited to, alcohol, drugs, illegal substances, skateboards, boom boxes, rollerblades, motorised vehicles, cooking platforms and portable shelters are not permitted within the theme park premises. How popular is Rainbow's End? People normally club together Auckland Botanic Gardens and Butterfly Creek while planning their visit to Rainbow's End. It’s a great place to have fun with kids. I think it should be less expensive when you go with family. There is another important thing I’ve noticed last night event is that there are no toilet facilities outside the booking counter especially when you host late night events. Luckily my niece saved by one of their staff member. Bottom line great expensive place with nice staff. 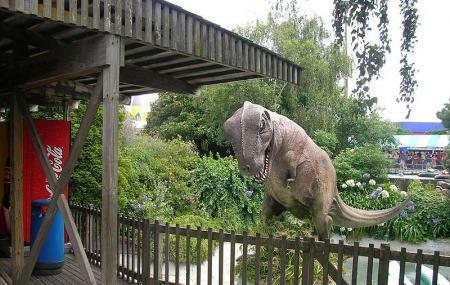 This is probably the best amusement park you'll find in New Zealand. However, it's honestly quite small compared to theme parks in other countries. Most of the attractions have a long line when it's busy, however, it is definitely worth the wait! The Kidz Kingdom is great for small kids and the main park is fantastic for older kids and teens, also a great date spot if you're looking for a exciting day out.